Counter-terrorism police have launched a snap social-media recruitment campaign off the back of hit BBC1 drama Bodyguard, with thousands of engagements from tweets issued by @TerrorismPolice. 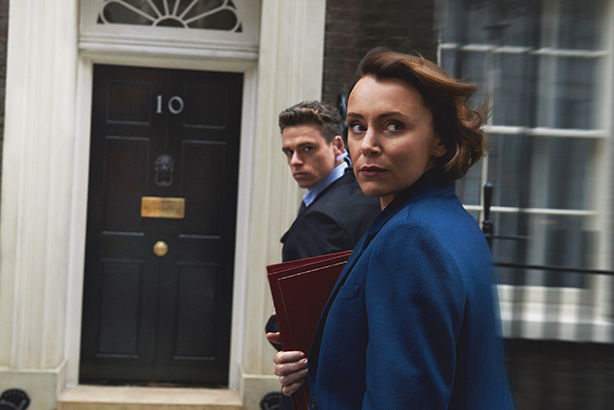 The series, about a troubled bodyguard tasked with protecting the Home Secretary (stars Richard Madden and Keeley Hawes, pictured above), attracted 10 million viewers for its first episode last month – making it the biggest new British drama in more than a decade. Its success has prompted the comms team at Counter Terrorism Policing UK to exploit the popularity of the show to raise the profile of its work and promote a career in policing. Whilst you are watching #Bodyguard on @BBCOne, our teams around the UK are currently working hard to keep the public safe. Are you tuning into #Bodyguard on @BBCOne tonight? ??? "IC4/6" - Identity Code. The suffix relates to the apparent ethnicity of the person, for example "4" relates to someone of South Asian origin. These codes were introduced in the 1970’s to assist in police radio communications. Tweets referring to the show have resulted in thousands of retweets, likes, or comments, with more than 3,000 engagements to date. And there have been more than 4,500 clicks through from Counter Terrorism Policing UK’s Twitter and Instagram accounts to its careers page, as well as media coverage prompted by a report from the Press Association about the social-media campaign tagged to The Bodyguard. Deputy assistant commissioner Dean Haydon, senior national co-ordinator for Counter Terrorism Policing, commented: "Our social-media engagement with the BBC's 'Bodyguard' has clearly urged thousands of people to visit both the Met and CT Policing's recruitment pages over the last few weeks." He added: "By using social media as a recruitment tool, we hope to attract a younger, more tech-savvy audience, whose skills will ensure we're ready to face the evolving threat as it moves ever closer to a virtual online space." Using the show’s profile to drive engagement has been praised by comms professionals.